The Farmer's Exchange is a weekly agriculture newspaper serving northern Indiana and southern Michigan. In addition to providing an abundance of relevant and timely news content, The Farmer's Exchange has developed a reputation for bringing buyers and sellers together through its classified, display, and public sale advertising. Auctions of all varieties can be found in each issue of The Farmer's Exchange. To serve as a medium for the discussion of agricultural issues affecting farmers. To provide a means for communicating meetings, events, and programs offered by various agricultural organizations. To stimulate interest in agriculture among the youth by showcasing their achievements in club work and other organizations. Furnish reliable and helpful market information. Provide a special medium for exchange of goods and services and to serve as the primary source for public sale advertising. The Farmer's Exchange was founded by a group of four men and the first issue was published November 5, 1926 in Nappanee, Indiana. 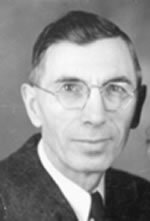 Only one of the four men remained with The Farmer's Exchange after the first year, he was Waldo E. Yeater. Waldo served as the paper's first editor and soon enlisted the service of his oldest son Lawrence, who, at age 7, could set a line of type and would begin to learn the printing business. 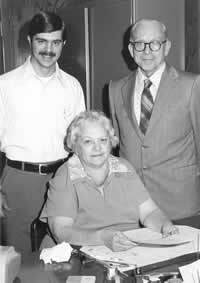 After serving in World War II, Lawrence returned to The Farmer's Exchange, along with his wife Melba, who was the brains behind the business operations of the paper. In 1974, Lawrence's son Steve became the third generation of Yeater's to join the paper, "until a teaching job opened up." After all these years, it's amazing no teaching jobs opened up and Steve serves as the publisher today. In 2003 Steve's son Matt became the fourth generation of Yeater's to join the paper. With a background in public accounting, Matt has taken on the responsibilities once held by his grandmother and currently serves as business manager.